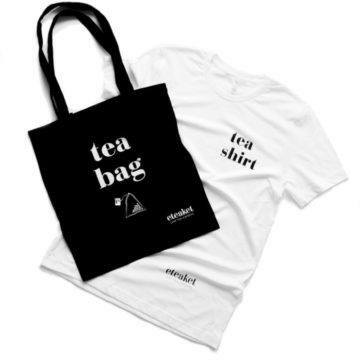 This eteaket-exclusive Mug & Notebook Set is ideal for those who have trouble communicating before their first cup of tea in the morning! The pattern, in turquoise, is based on the various ingredients in tea. There is a Scottish twist – notice the antler and thistle leaf. White mug with eteaket exclusive pattern in turquoise. 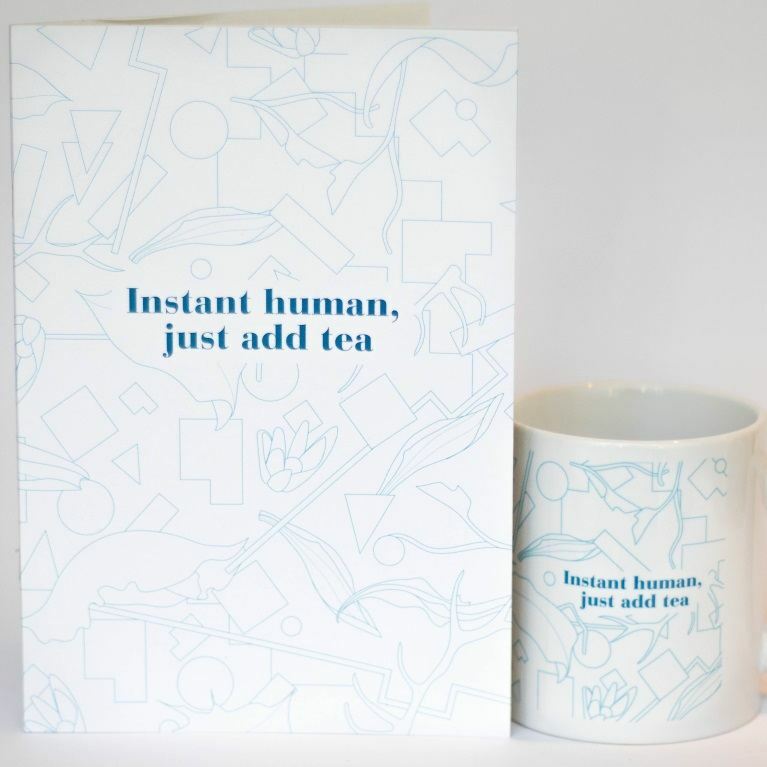 Text in blue, ‘Instant Human, Just Add Tea’ with eteaket logo on back. Outside cover turquoise pattern, blue writing ‘Instant Human, Just Add Tea’. Colourful inside cover – blue with coloured shapes -reminders of the broken pieces of tea at the bottom of every tea packet. 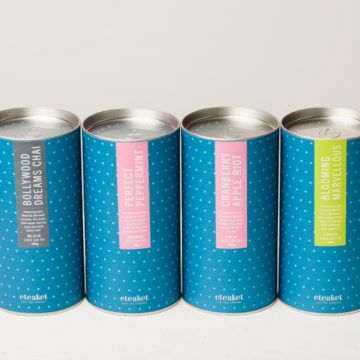 the perfect set - pop the kettle on & start making your lists! You must logged in to leave a review.